The price of oil plunged again earlier this week with its implications being widely seen in Alberta, putting pressure on policymakers to determine what actions, if any, need to be taken. “Lower oil prices are likely, on the whole, to be bad for Canada,” said Bank of Canada deputy governor Timothy Lane in a speech given to the Madison International Trade Association in Madison, Wisconsin, on Jan. 13. The past few days have brought to the fore some of the implications of the falling price of oil, which settled below $50 per barrel for the first time in six years on Monday, Jan. 12. The Conference Board of Canada said on Jan. 13 that a recession is the most likely scenario for Alberta. Some economic weakness can be seen through macroeconomic channels already. A $1.5 billion budget surplus in October has turned into a deficit of $500 million in January. According to the Teranet-National Bank House Price Index released Jan. 14, prices in Calgary fell 1.1 percent in December. Calgary is turning into a buyer’s market with listings rising and sales falling. Although Alberta’s month-over-month unemployment rate rose 0.2 percentage points to 4.7 percent in December, it is still well below the national rate of 6.6 percent. According to Toronto Dominion Bank, the federal government will be in a deficit two years longer than planned due to the drop in oil prices. Back in November, in its fall fiscal update, the government said it was on track to achieve a $1.9 billion surplus in 2015-16. That was when oil was trading around $80 per barrel. With the falling oil prices, the government could wind up dipping into its $3 billion contingency fund. Finance minister Joe Oliver reiterated the government’s commitment to balance the budget when he spoke to reporters in Vancouver on Wednesday. Crude oil accounts for about 14 percent of exports and oil extraction accounts for about 3 percent of GDP. The oil companies aren’t wasting time making adjustments. The largest company in Canada’s oil patch, Suncor, announced on Jan. 13 that it is cutting $1 billion in capital expenditures and also about 1,000 jobs. On Jan. 9, Royal Dutch Shell’s Canadian unit said it would cut up to 10 percent of its work force in the oil patch. The hit to the price of oil began this week with a Goldman Sachs report that shaved its forecast for West Texas Intermediate. The investment bank sees prices of $40.50 per barrel in three months, $44 per barrel in six months, and $65 per barrel in 12 months. These new forecasts are down by $30, $30, and $15 per barrel respectively. Shale oil production can be increased and decreased much more quickly than before. The time lag is lower between when capital is spent and when production rises. Lower prices need to remain in place in order to keep shale capital investments on the sideline. On Jan. 13, the United Arab Emirates energy minister reiterated the position of the Organization of the Petroleum Exporting Countries (OPEC) Arab Gulf members that lowering their production would only hurt their market share and benefit rivals. Their important decision to maintain output at 30 million barrels per day from November looms as a major factor in the increased supply (and price plunge) along with an excess supply from Libya and Iraq. Lower oil prices are likely, on the whole, to be bad for Canada. And the big Canadian oil companies aren’t cutting production either. 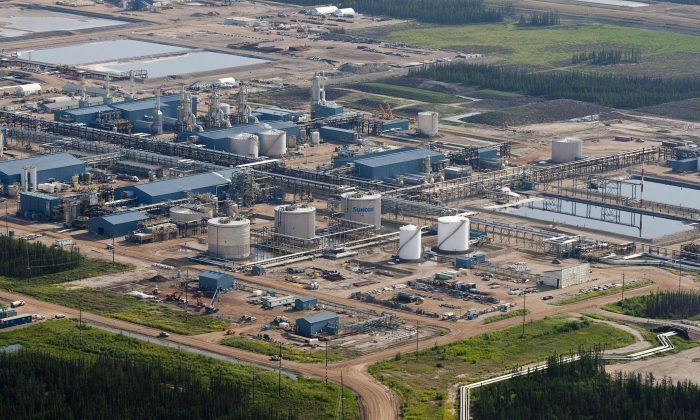 Suncor, Canadian National, and Syncrude are lifting output. The share of U.S. oil imports that comes from Canada is increasing and nearly all oil exported from Canada goes to the U.S.
Next week, the Bank of Canada will provide a new set of forecasts for GDP growth and inflation in its Monetary Policy Report factoring in the dual problem of low oil prices. “First, we will look through its immediate and temporary negative effect on total consumer price inflation. Second, we will closely monitor its broader impacts on growth and the delay it may cause to the economy’s return to its production potential,” said Lane. “For the world as a whole, the decline in oil prices is beneficial,” Lane noted, however. For the net importers like the U.S., China, Japan, and Europe, that’s clearly the case. But for Canada, all things considered, it’s problematic and the challenge for fiscal and monetary policy is immediate. Rahul Vaidyanath is a Chartered Financial Analyst (CFA) with 15 years of capital markets experience. He has worked in the Financial Markets Department at the Bank of Canada and as a mortgage bond trader in the U.S. Follow Rahul on Twitter @RV_ETBiz. As widely expected, the Bank of Canada kept its target for the overnight rate at 1 percent as inflationary pressures remain subdued. Canada is on track to balance the books in 2015 according to the federal government’s Update of Economic and Fiscal Projections.